When the sun is shining and the weather is ideal, there’s only one place you ever want to be: outside! But, if your home’s outdoor living spaces aren’t up to snuff, you may not be wishing to spend as much time in the backyard as you otherwise might. That’s why more and more homeowners are paying attention to the style and quality of their outdoor living spaces. Many are tearing out those boring old decks their homes came with and putting in new ones, places where all the joys of the warmer months can be indulged in full. 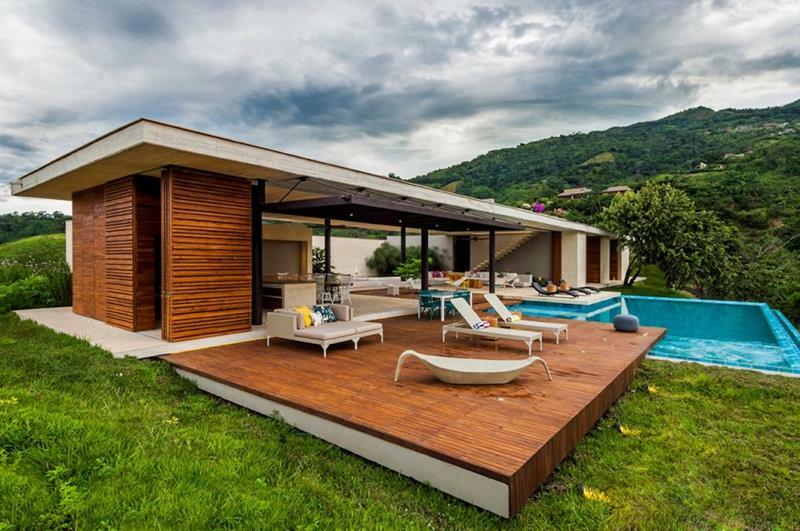 So, check out these amazing sun deck designs, and see if you can’t find the inspiration to invigorate your home’s outdoor living spaces! Incorporating built-in seating to your sun deck design can really increase the functionality of your outdoor living space. 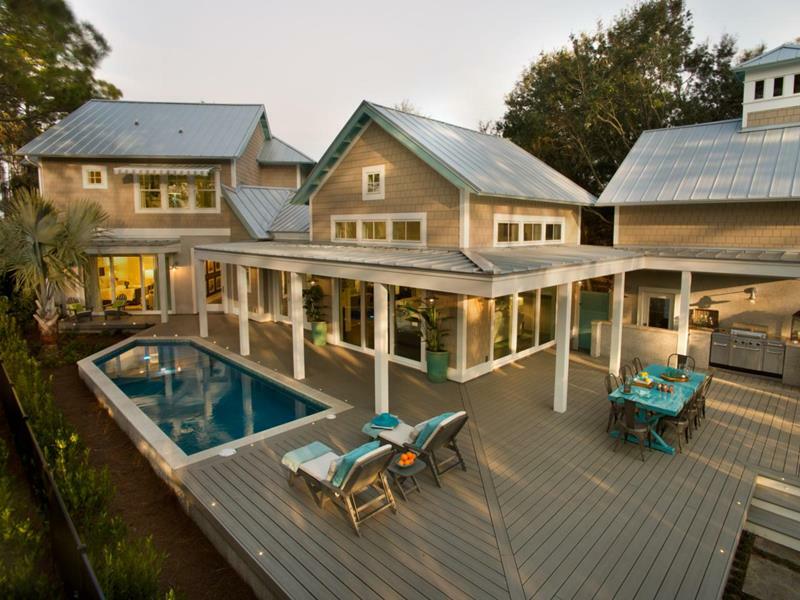 This amazing sun deck incorporates a small swimming pool and an outdoor kitchen to great effect. 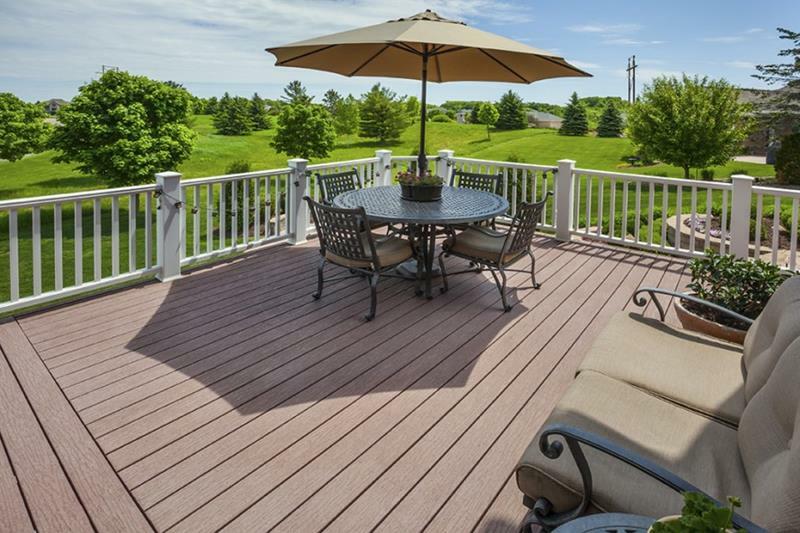 If space is at a premium, a small sun deck can still do a lot! 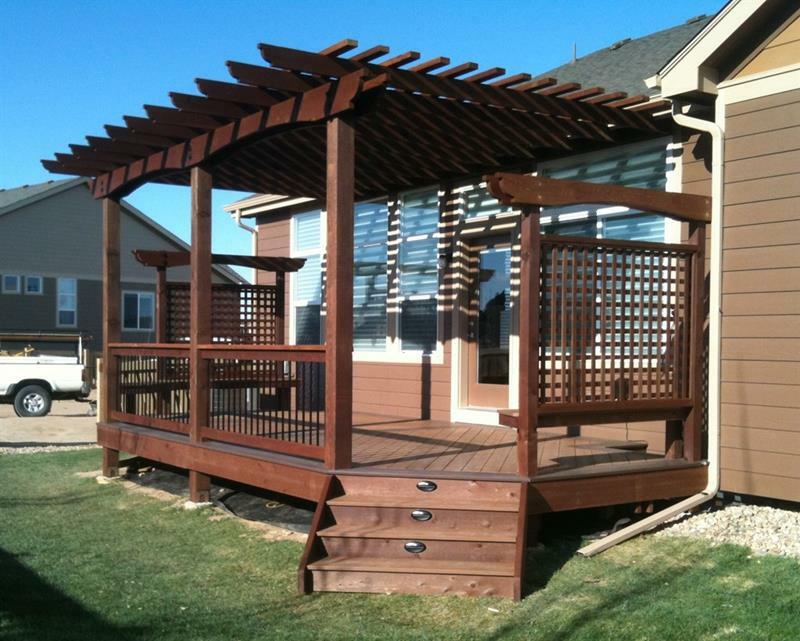 Check out this amazing one with a pergola overhead. 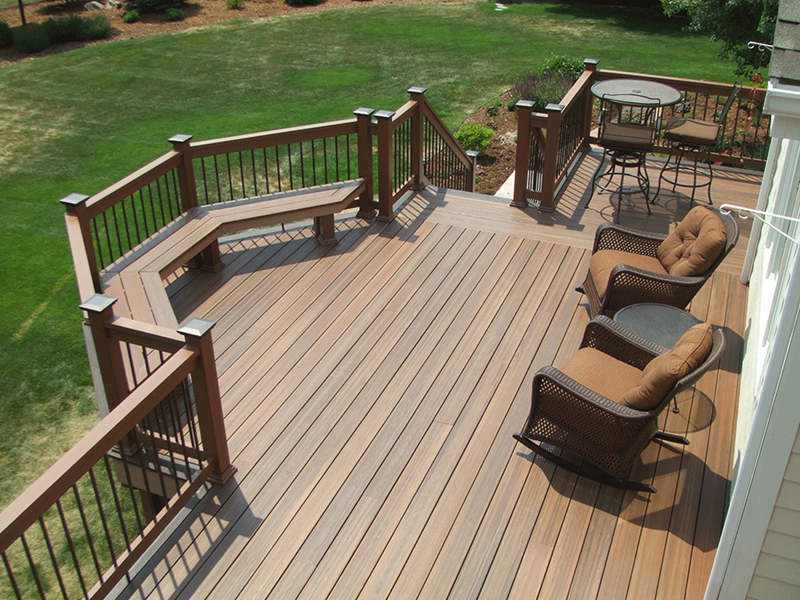 The dark hardwood used in this sun deck is a unique and ultimately rewarding choice for this design. 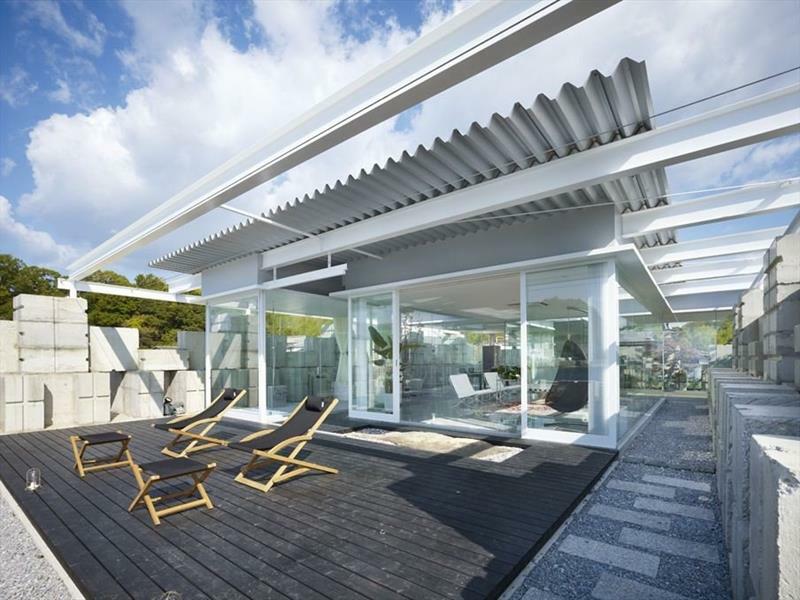 A small table with an umbrella can provide just the right amount of shade on your sun deck.